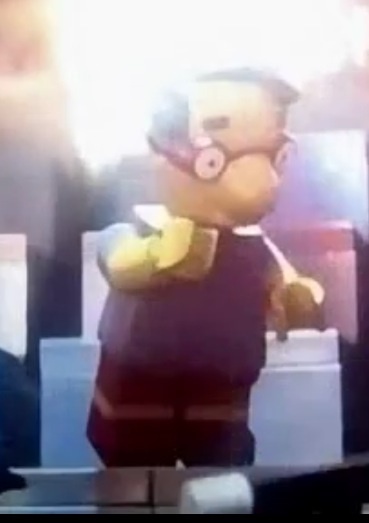 I was sent an article from a friend, which included information on Simpsons Minifigures for the next series of CMF, unfortunately I can't find the article again, does anyone know if this is true or false? Or have any info? Yeah, but looking back you'd be pretty happy to have the very first ones . . . .
Well I for one am absolutely loving this reveal of 16 all-grey fellas with question-mark torsos. That's quite a gamble to be sure. I bet my favourite one will be 2 per box, as usual! P'shah. 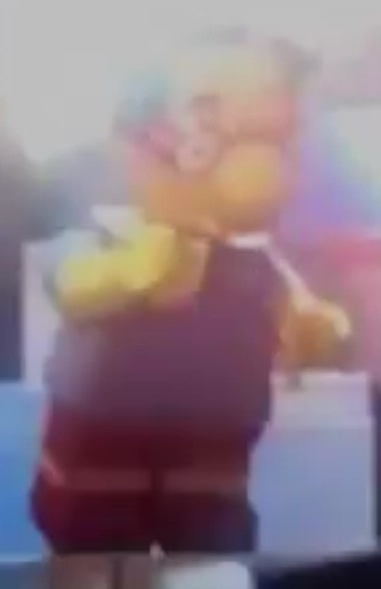 I bet if we talk about it long enough, a picture with some of the minifigures will appear which we can all over analyze. Then a few days later, a picture with all of the minifigures will surface. Or Whitefang over at Eurobricks will post a review of them. 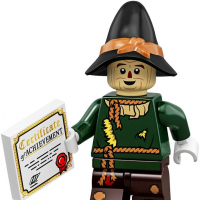 Whitefang usually seems to post his reviews before LEGO have finalised the designs! It quite like to see groundskeeper willie, he'd make a good figure. What am I meant to be looking at? Sorry if this spoils the fun, but there's really nothing to see. The box image just repeats the grey placeholders on each side. It's just a trick of the light and a dose of imagination that creates any illusion that the actual figs might be there. You just have to ask one question. Would a person so interested in new stuff that they'll photo anything (even a box with nothing on it) choose a shot that misses the actual figs on the side, in favour of placeholders on the front? That person certainly wouldn't miss that stuff, as it's exactly what they're looking for. Completely agree with both your reasoning and conclusion. Heh, I can feel @legomatt cringing from reading that. That is a great MOC! It would be awesome if TLG decided to make more Simpsons sets in addition to the CMF line and the house. It'd be great making a LEGO Springfield! I was under the impression that the house and the CMF were TLG's way of testing the water as to how well they will sell before potentially releasing some additional sets, although this is purely speculation. 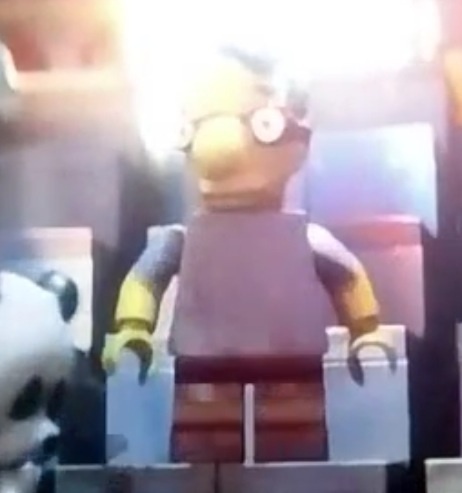 In theory the Simpsons Lego episode is likely to at least give them a starting point for some other designs, so it'll be interesting to see what settings are used in the episode and how they might translate to future sets. I'd like to see the Flanders Car and the Kwik-e-mart. I reckon it would be a huge line for them to produce. Imagine the potential, Nuclear power plant!!!!!! 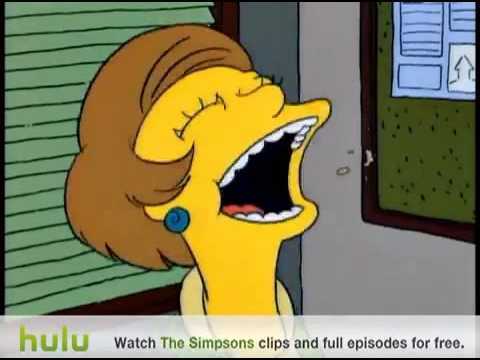 Springfield elementary, Kwik e mart, barts treehouse. The possibilities are awesome. the one major difficulty there might be when launching a full line is getting the balance of set sizes. A lot of the major settings would probably be quite large sets. Can you imagine the size of the power plant if it was done to scale with the house? it would be awesome but huge! The Playmates line handled this well. Each series consisted of six action figures and then an 'environment' that you could put them in. You had Homer's office in the power plant, the Bowl-o-rama, the main floor of the comic book store etc. They weren't oversized either, so I think you could get decent LEGO representations that weren't too sizeable. i think we are more likely to see things like Homer's office rather than a full power plant, but interesting to consider what a full power plant might look like. I hope we do see a full theme out of this, and i can't wait to see how people combine Lego sets with MOCs to create a fuller Springfield. I love the idea of a Simpsons fan with a big city display set up deciding to take recreate at least a part of their city as a Springfield. One thing I'd really like to see but not sure how well it would work is a set based on the park, particularly with a Jebediah Springfield statue, ideally with an easily removable head. Assuming the t.v. series keeps going and the sales work for them I don't see why they wouldn't keep it as a running theme. This is my point! They need to focus on different themes, sorry if this upsets people, Star wars has outstayed its welcome. We need more Superhero and simpsons sets! ^ I think the biggest problem with the Star wars theme is the number of sets that are re released. Obviously Clone Wars and Yoda Chronicles helped give them a bit of wider scope but any time they release something from the main film franchise the first thing that happens is comparisons to previous releases. If you're comparing The Simpsons to Star Wars, I'm afraid that there is quite a limited amount of sets they could produce. It's quite simple. 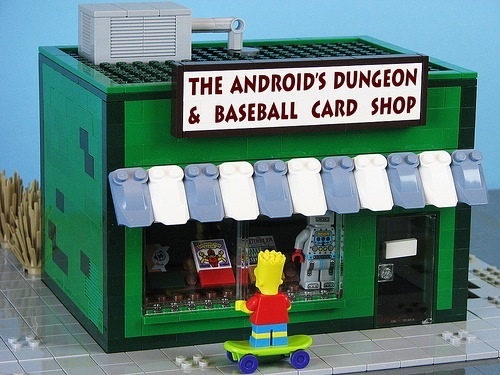 If the house and CMFs sell well, we'll likely see more Simpson sets. Seeing as Star Wars, along with City, are the two biggest-selling lines Lego produces, I think you're wrong about it outstaying its welcome. Unfortunately, even using multiple explanation points can't change reality. If it upsets people, that means it clearly hasn't outstayed its welcome. Its welcome is entirely defined by those very people. I believe it has oustayed its welcome. They keep releasing clone after clone, similar ships aftet similar ships, they need to re invent it if they want to keep it going. ^ isn't that what five new films, a new animation show and a new live TV show will do? They keep releasing clone after clone, similar ships aftet similar ships, they need to re invent it if they want to keep it going. They can only do so much with licensed material. The Yoda Chronicles and Microfighters are probably as close to re-inventing as they can get. We may not have info yet, but think how easy these should be to feel out in the polybags! 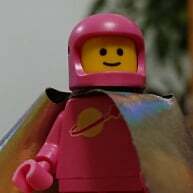 It seems a lot of us (AFOL's) forget that the majority of people are only into Lego for a small amount of time, and don't collect every set of a particular theme. My guess is that 80% of those into Lego are only into it for between 3 & 8 years (and mostly that's kids, and even if your average kid is not Lego for longer they get so few sets (Compared to most of us) that it probably doesn't mater if a lot of sets are re-released. That means most Lego consumers have no clue (or care) that the x-wing has been re-released a bazillion times, they just care that they can get one now. ^Exactly. Plus, it isn't like have Star Wars sets eliminates the possibility of having more Simpsons sets or more [fill-in-the-blank]. If anything, having Star Wars sets bringing in tons of revenue allows Lego to be able to make more niche products like a Simpsons house. I was trying to decide how easy it might be. Moulded heads should be a dead giveaway but I suppose it'll be hard to know for sure until seeing pics of all the characters in them - e.g a Maggie head and Lisa could easily be mixed up but a lot of them will hopefully be quite easy. Along those lines, I picked up a couple Minecraft Hangers (they fit on zipper pulls, whatever) for trinket gifts, and they come in blind packs, but they fold a little piece of thin cardboard around the item inside the pouch, so you can't feel for it easily. Then again, I can't help but think, would it really be that bad if they just indicated what CMF you are getting in each bag? I agree with this point as it would good for us collectors as we would be able to get a full set almost straight away. However I doubt TLG will indicate who is in the packet as it takes away the element of suprise. Also they will make more money by people purchasing packets and not knowing who they will get as they may already have that figure. This then leads to more sales. ^^Agree with both of you on that. I noticed theres a line of How to train your dragons figurines out that come in little poly bags but with a window on the front so you can see what you're getting. They are a bit bigger than a mini figure but cost about £5 and i think the additional cost is because they won't get the extra profit from people getting doubles. Also as a result two boxes on the shelf had obviously been raided for the most popular characters, i don't know the names but the only ones left when I've seen them (in two different shops) were the main female character and the small round rock like dragon. If TLG indicated which figure you were getting then everyone would just take the popular characters. I hope they don't put a card insert in because I don't want to waste money getting stupid amounts of doubles. I hope that TLG don't feel the need to stop people identifying them based on feel, after all its not a perfect system and takes a lot of time to find all the right ones. I have seen that list knocking round for a while. Itchy and Scratchy were the two on there that really caught my interest. 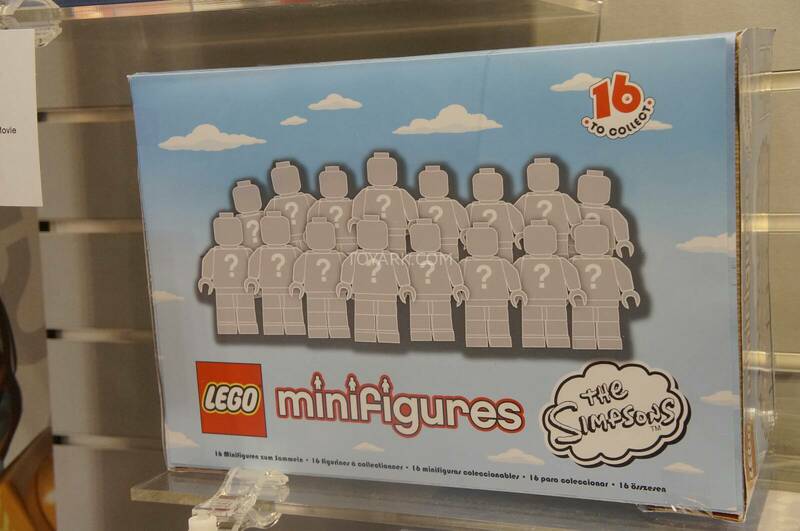 A lot of people might respond to their presence on the list with "but they are only minor characters and wouldn't make sense at mini figure size with other Simpson characters" but to me that makes them make more sense in the CMF line as they would only make sense in a Itchy & Scratchy specific set if we see a full theme release. Stands to reason that if TLG plan on running a full theme too then characters that might not work well in a wide range of sets probably would be best in the CMF line to bulk out the roster but not stop mini figure collectors wanting to buy the sets too. ^Itchy and Scratchy could work in a £12 set. ^ The price isn't the issue. What would the set be? Itchy and Scratchy with a chainsaw and hammer. Although it wouldn't really fit in with lego's wholesome image.